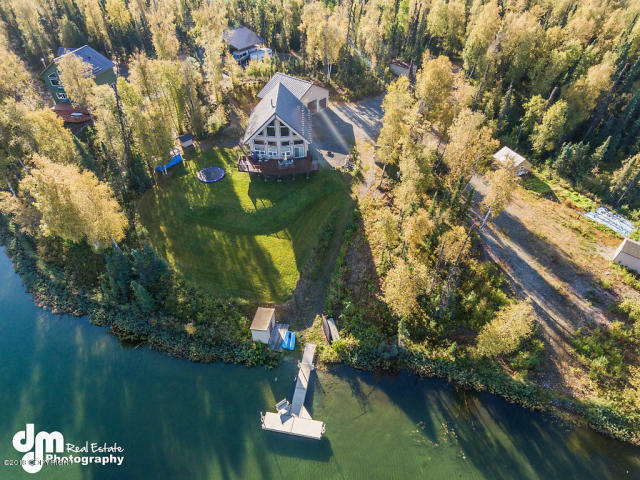 The Kristan Cole Team, member of The Kristan Cole Real Estate Network Just Listed a new Single-family home at 23449 W Carpenter Lake Road 23489 in Wasilla Alaska. Must see Alaskan lakefront property!! Beautiful custom home with a wall of windows in the great room giving you a gorgeous view of serene Carpenter Lake. Energy efficient home with all of the conveniences of modern utilities & just a short drive to town. Huge garage, lots of acreage & with only a few homes on Carpenter lake, it makes it peaceful and quiet.